When women ask for what they want, they increase their influence and financial standing in the world, gain more confidence and improve the communities around them. But women tend not to negotiate for themselves, citing anxiety and fear of failure as the key reasons. Often when women do negotiate, they’re less effective than men. 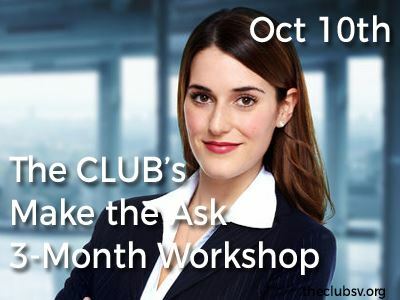 To address this challenge, The CLUB is piloting "Make the Ask", a 3-month interactive program to help women craft their “ask” and negotiate for more. Maya currently co-leads the San Francisco office of Alesco Advisors, an SEC-registered investment advisory firm servicing the investment needs of institutions, foundations and high net worth individuals. Previously, she led BlackRock’s U.S. Institutional Index Asset Allocation business, responsible for over $200B across all asset classes, investment styles and vehicles. Over the last 20 years, she has held senior risk management roles at firms such as BlackRock, Barclays Global Investors, Visa, and GE Capital. 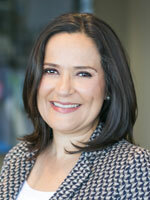 Maya is a graduate of Pomona College and holds an MBA in International Finance from the University of Washington.